Lumber hits a new low in a strange disconnect with hurricane Florence. Three related stories include: forestry stock prices fall, analyst downgrades lumber stocks; and US building permits fall in August. 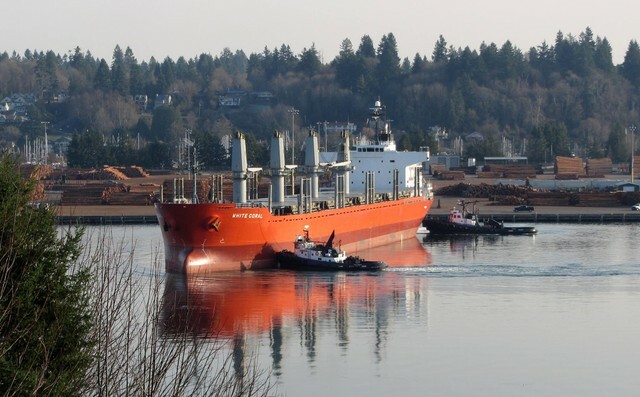 Elsewhere: Chinese tariffs may give US veneer mills a break; and Rough & Ready Lumber responds to mill closure criticism. In Forestry news: BC draws ire over caribou plan; Nova Scotia’s forests need more protection; forest diversity is key to protecting Utah’s forests from drought; Virginia protects forestland along the Appalachian Trail, FPInnovations and the American Trucking Association partner on innovation; and Greenpeace links name-brands to forest destruction in Indonesia. Finally, the saying “you can make anything out of lignin except money” may be redundant; and happy 85th Birthday to the Northeastern Lumber Manufacturers Association (NELMA). Shares in several major Canadian forestry companies closed down Wednesday after an analyst downgrade and lower-than-expected building permits for the crucial US housing sector. CIBC analyst Hamir Patel said that the bank has reduced its outlook on the industry, including downgrades on Interfor , Resolute, and West Fraser, as concerns mount about US housing. 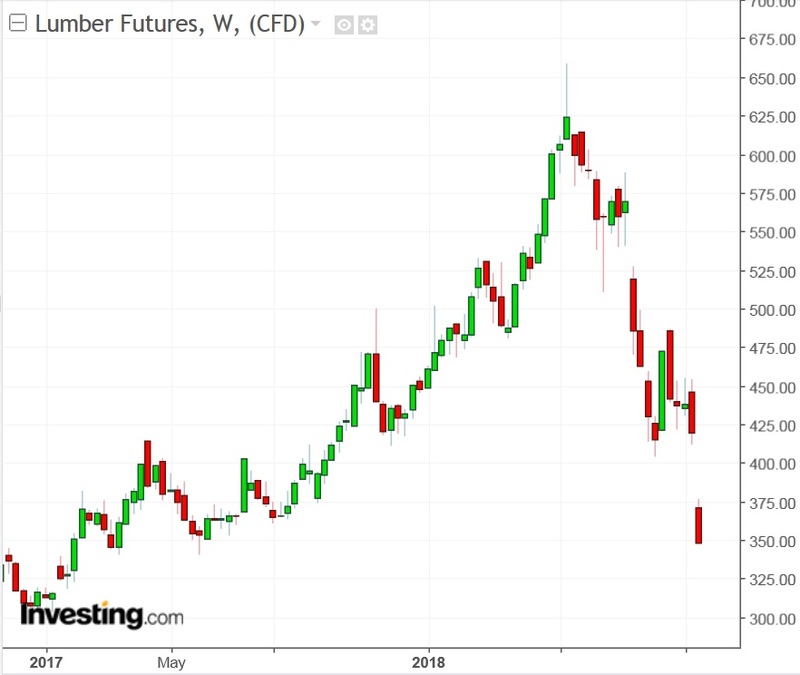 “With more warnings signs flashing in the US housing market … we are now moving to the sidelines on all commodity wood product stock,” wrote Mr. Patel. Canfor closed down 6 per cent, Resolute ended down 4.5 per cent, Interfor down 4 per cent, and West Fraser down 3.9 per cent. The shift came as the U.S. Commerce Department said Wednesday that applications for building permits, seen as a reliable indicator of future activity, fell by 5.7 per cent in August after a 0.9-per-cent rise in July. WASHINGTON — U.S. home construction rebounded in August at the fastest pace in seven months but applications for new building permits plunged, sending mixed signals for an industry that has been struggling with rising lumber costs. Housing starts increased 9.2 percent in August to a seasonally adjusted annual rate of 1.28 million units, the Commerce Department reported Wednesday. Housing starts had declined 0.3 percent in July and 11.4 percent in June. The increase was the biggest since a 10.2 percent advance in January. Application for building permits, considered a good indication of future activity, fell by 5.7 percent in August after a 0.9 percent rise in July. Permit applications have been down four of the past five months. Over the past months, The Oregonian has run several stories about Rough & Ready Lumber and the tax credit financing that helped retool and restart our sawmill in 2014. But due to the reporters’ heavy reliance on Business Oregon, the lack of regard for the positions of Ecotrust and Rough & Ready, and no evidence of the use of national experts on federal New Markets Tax Credits, we feel that the real story has yet to be told. Let’s start with what motivated us and partners like Ecotrust to modernize and re-open our small-log mill in Southern Oregon: the desire to provide full-time, family wage jobs for workers and their families in the Illinois Valley. …Contrary to the stories that have appeared, we were confident that the complex tax credit financing was proper and sound. 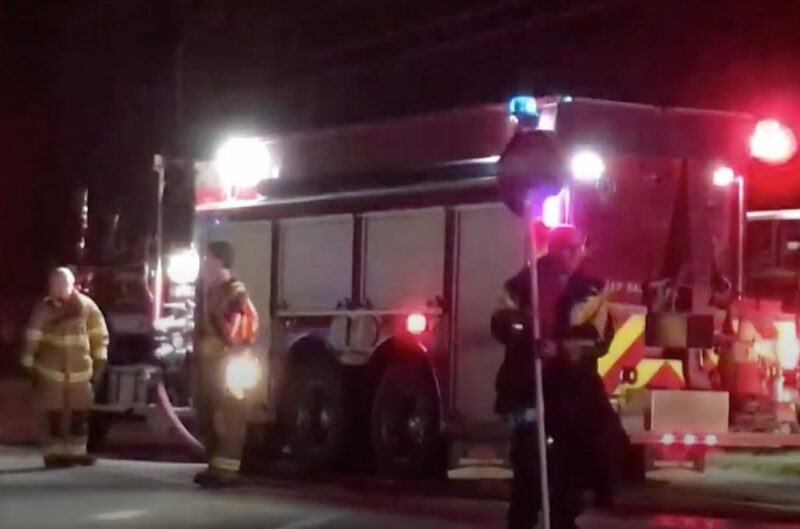 More than 20 fire departments were fighting a fire that broke out Wednesday evening at a wood-pellet plant in Corinth. The fire was reported around 6 p.m. at the Corinth Wood Pellets manufacturing facility at 74 Hob Road, an emergency dispatcher for the Penobscot County Regional Communications Center said. The dispatcher described the blaze as a large fire that would take some time to control. Crews were still battling the fire late Wednesday evening and were expected to remain through the early morning hours. No serious injuries were reported Wednesday night. …Corinth Wood Pellets LLC manufactures hardwood pellet fuel from wood fiber harvested in Maine, according to its website. The company, formed in 2007, claims to be recognized as the premier wood pellet manufacturer in the state. June 1933. Deep in the middle of the Great Depression. President Franklin D. Roosevelt, as part of his New Deal, instituted the National Industrial Recovery Act (NIRA), legislation authorizing the President to regulate industry and permit cartels and monopolies in an attempt to stimulate economic recovery. …The NIRA established upwards of 765 industry and supplemental codes for basically every type of industry in America, including the wood products industry. …In short time, the Lumber Code Authority was established to monitor and reinforce the code and its provisions, to include price filing by lumber manufacturers. (Lumber mills were required to file their prices with code authorities and provide advance notice of price changes.) …And thus, the Northeastern Lumber Manufacturers Association (NELMA) was born, created to administer and monitor the provisions of the Lumber Code Authority in the Northeast. 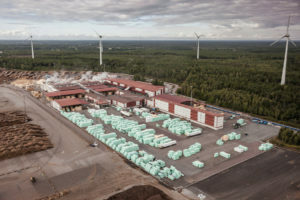 Timber producer Södra is increasing the annual production volume of sawn timber at the Mönsterås sawmill by 100,000 sq m from March 1 2019. The investment will see the sawmill implementing a third shift and taking on 30 new employees. This will require a third shift and approximately 30 new employees. “With our focus to grow with our customers, we need to increase production at Mönsterås to meet demand” said Jörgen Lindquist, President of the Södra Wood business area. …Over the past two years, Södra has implemented structural changes in its sawmill operations to strengthen the company’s long-term competitiveness. The market outlook is bright and sustainable construction is driving the interest in timber as a building material. The underlying demand for sawn timber is high. The company is investing in a cross-laminated timber (CLT) facility at the Värö sawmill and the increase in capacity at the Mönsterås facility will augment this. Hurricane Florence has caused property damage estimated at between $17 billion and $22 billion, and thousands of homes, buildings and other structures in the Carolinas must be put up again when flood waters recede. The lumber market, key to the reconstruction, has lost 20 percent of its value since the storm hit and is trading near 16-month lows. Bewildered investors need to look at US-China trade war to figure out the disconnect. The Trump Administration’s latest tariffs on $200 billion of Chinese goods, announced Monday, strikes at the heart of the US building materials industry and lumber futures on the Chicago Mercantile Exchange were reflecting that over the demand for wood products envisaged for the rehabilitation works required by the storm. …“It’s the timing, more than anything else,” said Jock O’Connell, trade economist at Beacon Economics, a California-based think-tank. Catalytic breakthrough surrounding the notoriously difficult oxidative depolymerisation of lignin could make cellulosic ethanol biofuels commercially viable. The saying “you can make anything out of lignin except money” may be redundant thanks to a gold-based catalytic system that can turn lignin into valuable aromatic compounds. While industry is piloting scalable cellulosic ethanol production, research has shown that the cost of such processes directly correlates to the value obtained from the lignin component of the starting biomass. The challenge is to convert lignin into valuable chemicals, improving the overall economics of cellulosic ethanol production enough to make it commercially viable. 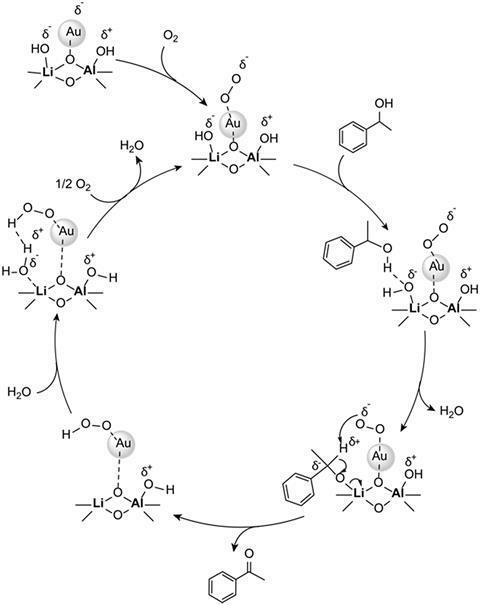 …Mark Crocker, at the University of Kentucky has reported a breakthrough in the heterogeneously catalysed oxidative depolymerisation of lignin, using gold nanoparticles supported on a lithium–aluminium layered double hydroxide. ORLANDO, FL – Today, American Trucking Association’s Technology & Maintenance Council and PIT Group of FPInnovations announced it has reached a deal for a new, collaborative partnership. Under the terms of the agreement, TMC will partner with PIT Group in field testing and truck engineering projects, while PIT will offer TMC members access to their engineering services at a discounted rate. …”TMC and PIT are both committed to advancing innovation in trucking, and we could not ask for a better partner to work with,” he said. “I hope this is the first of many collaborations between our two organizations.” …As part of this new collaboration, PIT Group and TMC each commit to a number of obligations, including engineering advice, discounts on Fleet Review Services. According to the Canadian Forestry Association (CFA), National Forest Fire Prevention Week was established around 1920 to promote a greater public awareness towards preserving Canada’s forests. “At the time, there was no apparent shortage of trees for industrial expansion — the greatest threat came from forest fires, due mainly to human causes,” reads an excerpt from the CFA website. It wasn’t until 1967 that the week was renamed National Forestry Week to “encompass the many and varied human and environmental aspects of Canada’s forest resources — past, present and future.” A short drive around Merritt will reveal how many residents depend on B.C.’s forests for their livelihood. From mills to trucking companies, repair shops to the Merritt Green Energy Project, the trees surrounding the Nicola Valley have helped this town grow tall — if you’ll pardon the pun. Nature is in turmoil. Who put it there? We did. Instead of helping nature do her thing, the experts think they know better. In my 90 years on this planet, I’ll say Mother Nature has done a fine job without our help. Nature was never in balance in the 1950s 60s and 70s. There was lots of game everywhere. …The logging slash was burnt in the late fall, just before the rains came. The next spring it was planned again for the following fall by forestry experts who knew that if the slash was not burned it could cause massive forest fires. After the burns came the fireweed and that brought in the deer to forage in the forests of it. …Mother Nature has been very good to me… Yet the future does not look too bright unless we change something. B.C.’s ‘new’ recovery strategy is being sold to the public as a bold remedy for the province’s critically endangered caribou herds but scientists are coming forward with sharp criticism, saying a government discussion paper fails to highlight the principal cause of the species’ precipitous decline. Scientist Justina Ray has been studying caribou for fifteen years… After witnessing the sharp decline of B.C. caribou herds, Ray and other caribou scientists were hopeful last November when the B.C. government was compelled — under the federal Species at Risk Act — to develop a conservation plan for woodland caribou recovery and protect their critical habitat in B.C.’s mountain forests. But now their hope has shifted to “profound” concern following the publication of a B.C. government discussion paper billed by Doug Donaldson, minister of forests, lands, natural resource operations and rural development, as a “resource document” for a caribou recovery program. A partnership between the Pacheedaht First Nation, the provincial government and the Cowichan Lake Community Forest Co-operative has resulted in a first-of-its-kind community forest agreement: the Qala:yit Community Forest. 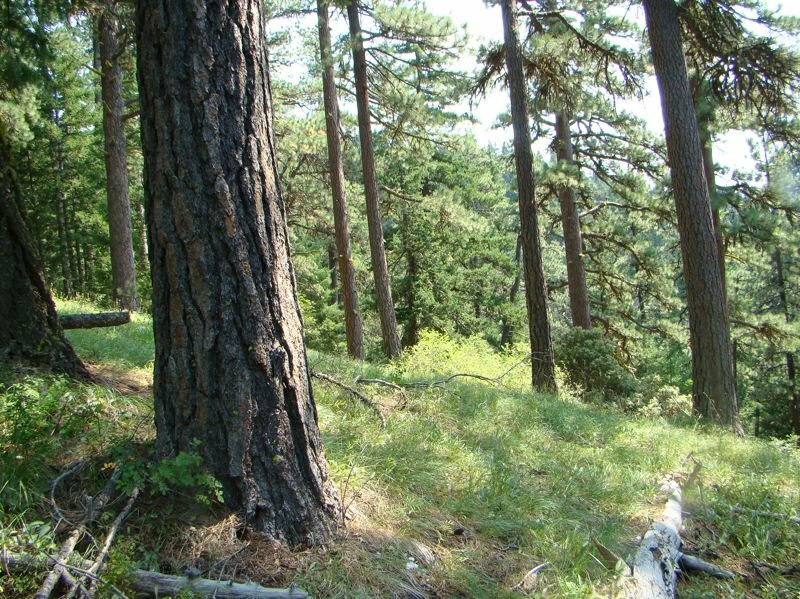 The deal is unique among B.C.’s 56 community forests and resulted from legislation passed in 2016 designed to allow new community forest licences in areas where there are significant competing pressures on the land. It’s the first to include a revenue-sharing agreement with B.C. Timber Sales. “With such a tight land base in the area, the Qala:yit Community Forest would not have been possible without entering into this agreement with BCTS,” said Forests Minister Doug Donaldson. SYDNEY, N.S. — A visit to the woods nowadays occasionally produces unwanted surprises as privately managed land can reveal some of the worst examples of what clearcutting can do to our forests. It’s easy to see that the land and animal life are ravaged and some protected species are taken with ignorance without much of a thought. The science is firm on what unregulated clearcutting will do to any forest: Continuing an exploitive rationale to meet market pressures for wood supply is simply not sustainable in the 21st century. It confirms the law of diminishing returns in a small province with shrinking natural resources. …Many private woodlot owners are protective of the resource that brings them an income. But there is a need for a more comprehensive regulation and a control strategy to protect this important provincial resource. BOISE, IDAHO – The state of Idaho’s bills for this year’s wildfire season has come in at about $17 million, in line with averages from recent years. The total expenditures from firefighting on state-protected lands this year came to more than $21 million, but more than $4 million of that is reimbursable from other agencies. The Idaho Legislature’s Joint Finance-Appropriations Committee set aside $20 million earlier this year to cover the state’s firefighting season costs. Acting state Lands Department Director David Groeschl told members of the Land Board on Tuesday that moderate weather in September with more moisture weakened the state’s fire conditions, and restrictions on campfires and some other activity on state lands are being lifted this week. 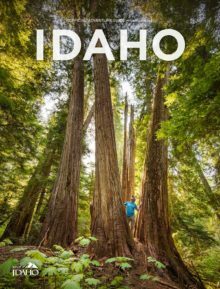 …Idaho Gov. C.L. “Butch” Otter, who chairs the Land Board, noted that the number of human-caused fires continues to grow. Can Colorado Burn Its Way Out of a Wildfire Crisis? This year has been one of the most active fire seasons in Colorado history, featuring some of the largest, most intense wildfires the state has ever seen. Now, land managers hope prescribed burns can counteract the disturbing trend before it’s too late. …For those keeping track, three of the largest wildfires in state history have occurred over the course of just four months. At the time of publication, more than 440,000 acres have already burned in large fires (any blaze larger than 1,000 acres) this year—and this number increases daily—making 2018 Colorado’s second most active fire season, trailing 2002, when nearly 452,000 acres burned, according to federal data analyzed by USGS research ecologist Todd Hawbaker. …The problem Colorado faces today is the product of a deeply concerning, decades-in-the-making trend across the West. Now, we wrestle with an urgent question: Is it too late to fight fire with fire? A heavily forested area of hills, valleys and ponds alongside the Appalachian Trail that is more than half the size the city of Concord has been placed under conservation easements in a $6.1 million project which has been in the works for years. The New Hampshire Division of Forests and Lands and The Conservation Fund announced Wednesday that a 24,000-acre section of working forestland in the Mahoosuc Mountains, between Berlin and the Maine border, had been preserved with a public-private partnership. The easements will prevent any future development of the land, much of which was previously owned by a forest-products company, but it will still be available for logging as well as for public recreation, from hiking to snowmobiling to hunting and fishing. The new John Deere L-Series II forestry machines feature a simplified design, providing a powerful solution, while maintaining the productivity-boosting features of the original line. The new L-Series II skidders and wheeled feller bunchers were built to include an increase in hydraulic speed, large grapples and an improvement in weight distribution. The new machines were announced during media event at Deere’s headquarters in Moline, Illinois. “With the new L-Series II machines, we wanted to build upon the best features of the original machines, while also simplifying the design to increase reliability,” said Brandon O’Neal, product marketing manager for John Deere Construction and Forestry. The Virginia Department of Forestry (VDOF) announced the protection of more than 2,800 acres of forestland fronting the Appalachian Trail near Wind Rock and Mountain Lake in Giles County thanks to a conservation easement executed by the VDOF and its partners, the USDA Forest Service and the New River Land Trust. Known as the Little Stony tract, the property is owned by the Dorsey/Purser family, descendants of John B. Laing, who bought the tract in 1909. At 2,833 acres, Little Stony is now the largest easement held by VDOF and exemplifies healthy forest management. …The Appalachian Trail Conservancy endorsed this project which supports the Conservancy’s efforts to protect landscape along the trail corridor. This conservation easement helps ensure the water quality at the Cascades National Recreation Trail and Day Use Area in the Jefferson National Forest and preserves a large block of wildlife habitat adjacent to a federally designated wilderness area. JAKARTA, Indonesia — Greenpeace says global consumer brands continue to buy palm oil from companies that are cutting down Indonesia’s rainforests despite repeated pledges to clean up their supply chains. The environmental group said in a report released Wednesday that 25 palm oil producing groups it has investigated destroyed more than 130,000 hectares of natural forest in Indonesia since 2015. It says that’s an area nearly twice the size of the island nation of Singapore. The report said all but one of those producers had supplied palm oil to consumer companies that are household names around the world in the past year. They include giants such as Nestle, PepsiCo, Unilever and Colgate-Palmolive. Palm oil, mainly produced in Indonesia and Malaysia, is used in a slew of consumer products from snacks to cosmetics. Practitioners, policy makers and civil society groups participated in the second national workshop to complete the updating of the National Forest Policy and Strategic Plan, and Protected Area, Forest and Wildlife Act for Grenada. The Caribbean Natural Resources Institute (CANARI) facilitated this second national workshop along with the Ministry for Climate Resilience, the Environment, Forestry, Fisheries, Disaster Management and Information. …The refreshed Forest Policy and Strategy focuses heavily on climate change resilience, and also addresses related issues such as fires, invasive species and watershed management. Effective watershed management including forest conservation and restoration is critical to protect Grenada’s water supply. This, in turn, is important considering the reduced rainfall levels predicted for the Caribbean region under current climate change scenarios. Key issues for Carriacou and Petit were also considered, such as animal grazing in forested areas. The state’s review of its native forest logging practices says critical knowledge gaps and faulty tracking of threatened species has made it impossible to complete its task properly. The 10-year forest management plan which began in 2014 is supposed to balance outcomes between conservation and the timber industry. …It found not only had the four relating to biodiversity – threatened fauna, threatened flora, threatened ecological communities and wetlands – not been met, but also that the Department of Biodiversity Conservation and Attractions failed to provide the clear targets, standardised methods, and species management priorities that the forest management plan, and the review, had relied on. The Department’s draft regional nature conservation plans were supposed to provide these. …The public has six weeks to have their say on the mid-term review. JACKSON, Wyo. — A growing wildfire in western Wyoming has forced the evacuation of some 230 rural homes but so far no homes have been burned. 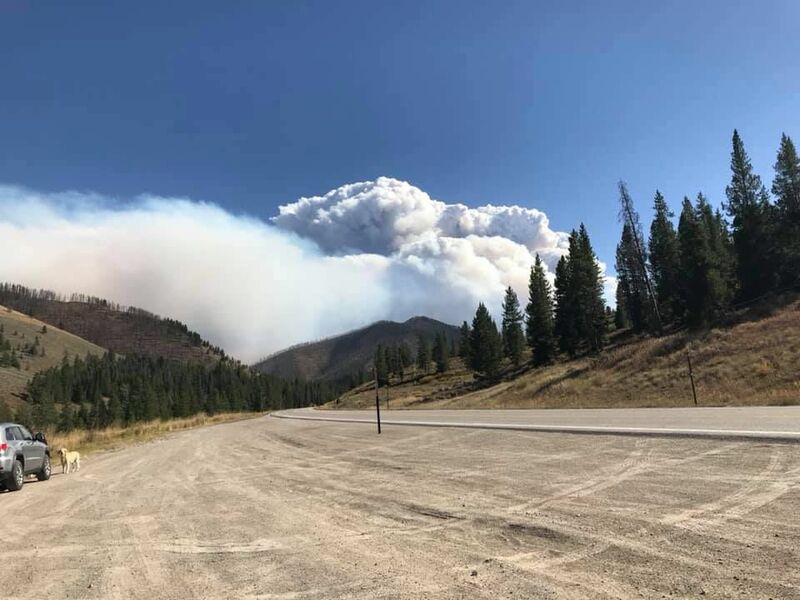 The fire burning in the Bridger-Teton National Forest south of U.S. 189-191 has charred about 39 square miles (101 square kilometers) of mostly timber since it started last weekend. The highway, which leads north to the Jackson Hole area, remains open. It is burning along the Hoback River in northern Sublette County near scattered, small subdivisions with mostly year-round residents. About 255 firefighters are battling the fire with more arriving Wednesday. They’re being supported by air tankers and helicopters. LAKEPORT, Calif. — The U.S. Forest Service says the largest wildfire on record in California is 100 percent contained. The agency made the announcement Wednesday about the so-called Mendocino Complex of twin fires that erupted in July. The fires north of San Francisco killed a firefighter, destroyed 157 homes and scorched 720 square miles. That’s an area more than twice the size of New York City. Officials say 460 firefighters remain in the area, working to prevent erosion and monitoring spots that are still burning. …Authorities are still investigating what started the fires. HALIFAX — Canada’s environment minister opened a meeting of her G7 counterparts with a call for action on climate change, even as prominent environmentalist David Suzuki reportedly called for her resignation over Ottawa’s support of fossil fuels. …She told the meeting that young people in the North are anxiously waiting for national leaders to come up with ways to deal with the warming climate. …It’s one portion of a wide-ranging series of meetings of G7 environment, oceans and energy ministers who will be discussing climate change, plastics pollution, illegal fishing and clean energy. …As McKenna spoke, a story published by La Presse had David Suzuki calling for her to step down. If she really thinks what she says, McKenna should resign “instead of being an apologist for the government,” Suzuki told the Montreal-based news site. Forest areas managed by indigenous and local communities store nearly 300 billion metric tons of carbon — five times more than previously estimated — yet failure for these communities to have their rights formally recognized may lead forest-dependent people unable to protect carbon reserves, a new report claims. “If we don’t find a way to secure the rights of these indigenous peoples and communities who are trying to make a living, and trying to maintain and sustain their forests, we’re all going to be worse off in the not-so-long term,” said Alain Fréchette, director for strategic analysis and global engagement at the Rights and Resources Initiative. “The urgency to act is paramount.” The report, produced by RRI in collaboration with the Environmental Defense Fund, the Woods Hole Research Center, and Landmark, among others, is based on newly available data sets covering 64 countries and representing 69 percent of the world’s forest carbon.